For smoother-textured granita, take the mixture out of the freezer before completely set and break apart with a spatula. Freeze for another 3 hours. 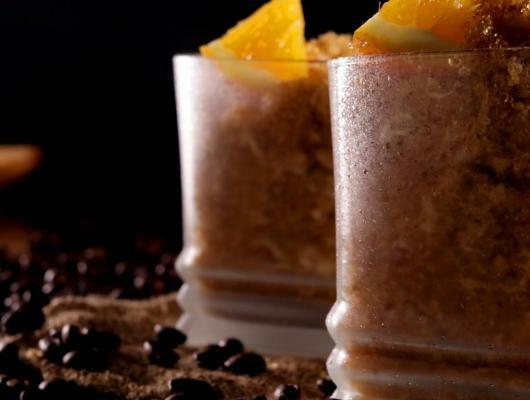 Served either as a dessert, or perhaps a morning energizer in the summer months, this recipe took inspiration from the great combination that chocolate and orange offers, pairing the wonderful flavour of (good quality) coffee with the fresh citrus flavour of orange. Orange you glad there’s now a fat-free option that is sure to give you your much needed caffeine kick?